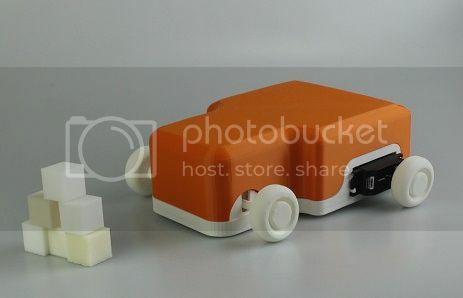 This Arduino based toy car combines Arduino programming and 3D printing to make a highly customisable project for anyone who wants to get started with programming. This simple template comes with an introductory guide detailing where you can find everything you need to get started and even coded Quickfix files to get you going! This project is based upon the user friendly Scratch coding platform currently used in schools throughout the UK to meet new measures making programming a compulsory part of the curriculum for all ages. This project is aimed towards 7-14 year olds however can be used and developed by anyone who wants a programmable toy car. This is the blank lid version however more covers will be shortly available as well as other Arduino based projects. Find it all here http://www.myminifactory.com/object/2604 . All wiring and electrical components are contained within the design. I'll have a video up in to time . If you have any suggestions or requests for projects,just send me a message! !